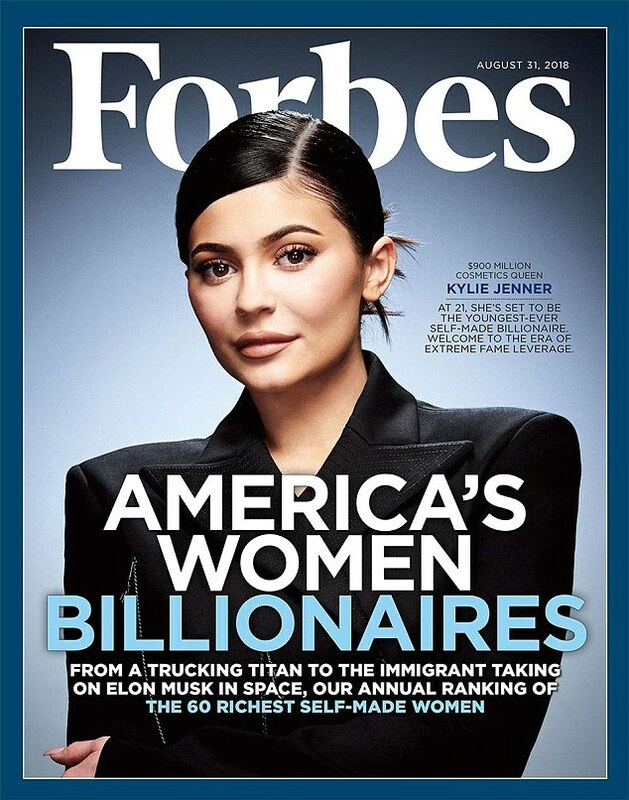 On Wednesday, Forbes magazine unveiled their August issue, showing the 20-year-old reality-star-turned-beauty-mogul on the cover for an issue focused on 'America's Women Billionaires'. According to the magazine, Kylie - who is set to turn 21 on August 10 - is currently worth an estimated $900million thanks to her cosmetics line. Once she crosses the $1billion mark, she will unseat Facebook's Mark Zuckerberg as the youngest-ever self-made billionaire. Kylie Jenner has been named on the Forbes annual list of America’s Richest Self-Made Women.